The identity of the fundamentalist is shaped by archetypal identification, whereby the shadow is projected on the “Evil Other,” onto whom acts of evil may be “justifiably” perpetrated. Postmodern deconstruction of identity, on the other hand, tends toward ‘as-if’ and transiency. Images and ideas become detached from “ground and reality.” The image becomes its own simulacrum, detached from the images of interiority. In contrast to fundamentalism, the post-modern condition is distinguished by a multitude of perspectives and narratives, challenging the view and the value of central, universal truths. Furthermore, it is characterized by transiency. Characteristics such as speed without digestion, fleeing the centre, remoteness from reality, disconnection from temporality, and the as-if quality of wearing transient masks come together in what may be termed the Transient Personality. 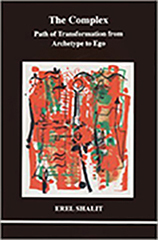 In the process of individuation, the ego-Self axis is vital and dynamic, leading to a conscious sense of wholeness and meaning. However, the ego of the Transient Personality is squeezed between persona and shadow, which have a tendency to merge. In this lecture Dr. Shalit will elaborate on these issues, which are related to the crises and opportunities, the dangers and the hopes of today’s world. 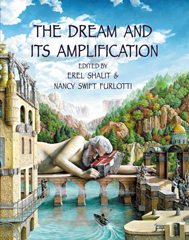 Erel Shalit, Ph.D., is a Jungian psychoanalyst in Ra'anana, Israel. He is a training and supervising analyst, and past President of the Israel Society of Analytical Psychology. He serves as liaison person of the International Association of Analytical Psychology (IAAP) with Bulgaria. Dr. Shalit is a past Director of the Community Mental Health Clinic, Shalvata Regional Psychiatric Centre. He has served as officer in the IDF Medical Corps, and is a member of the Council for Peace and Security. 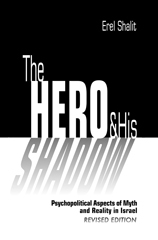 He is the author of Enemy, Cripple & Beggar: Shadows in the Hero's Path (2008), The Hero and His Shadow: Psychopolitical Aspects of Myth and Reality in Israel (new revised edition, 2004), and The Complex: Path of Transformation from Archetype to Ego (2002). Articles of his have appeared in Quadrant: The Journal of the C.G. 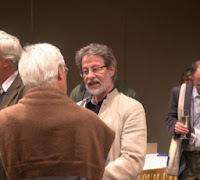 Jung Foundation, The Jung Journal (previously the San Francisco Jung Institute Library Journal), Spring Journal, Political Psychology, Clinical Supervisor, Round Table Review, The Jung Page, Midstream and other professional and cultural journals. Entries of his are forthcoming in The Encyclopedia of Psychology and Religion, Journeys and Encounters: 17th International IAAP Congress, and elsewhere. Dr. Shalit lectures at professional institutes, universities, and cultural forums in Israel, Europe and the United States. Please reserve your seat by calling the New York C.G. Jung Foundation at 212-697-6430, or by emailing info@cgjungny.org. This lecture will be held at the Jung Center, 28 East 39th Street, New York City. 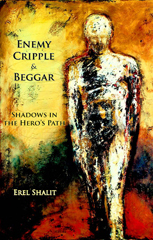 Click here to learn more about Erel Shalit's work.